The flared skirt with train has two pieces. 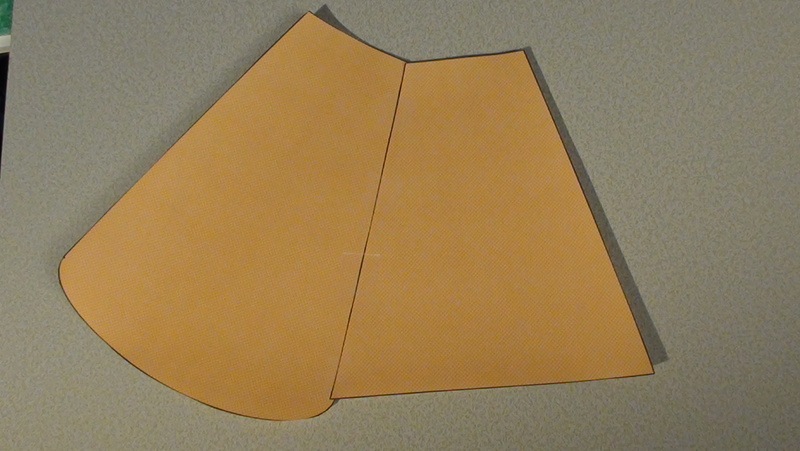 The shape that looks like a triangle with the top cut off is the front and the shape with the curve at the bottom is the back. Overlap the front piece slightly over the back piece and tape in place. Tape it together on the inside, non printed side, so the tape doesn’t show on the outside. Slightly overlap the other sides and tape the skirt together. In the picture I show the tape on the outside but it is better to have the tape inside where it won’t show. Slide the skirt on the doll and center the front of the skirt and the front of the doll. 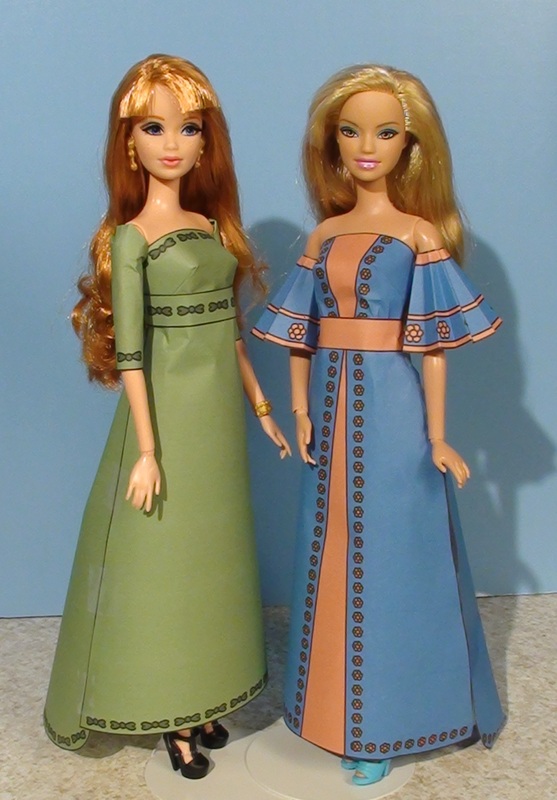 For a doll like Baarbie you should pinch around the dolls waist with your hand to gather the remainder of the skirt at the back. Remember to keep the skirt fairly smooth in the front. 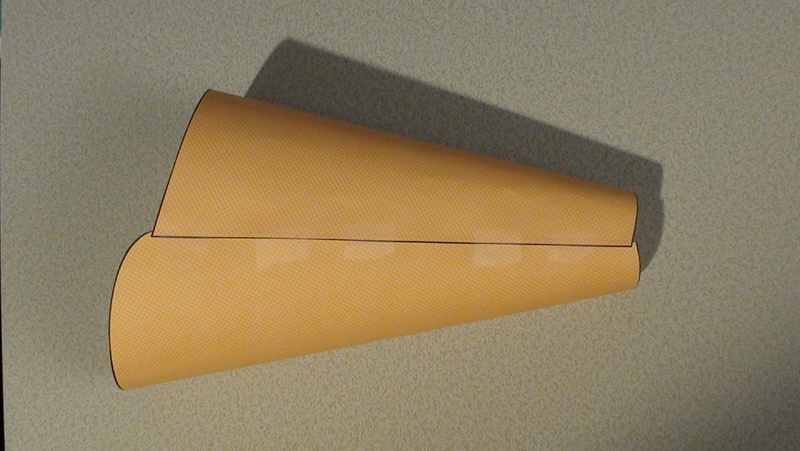 Taping the gathered paper in the back can help hold the skirt in place. 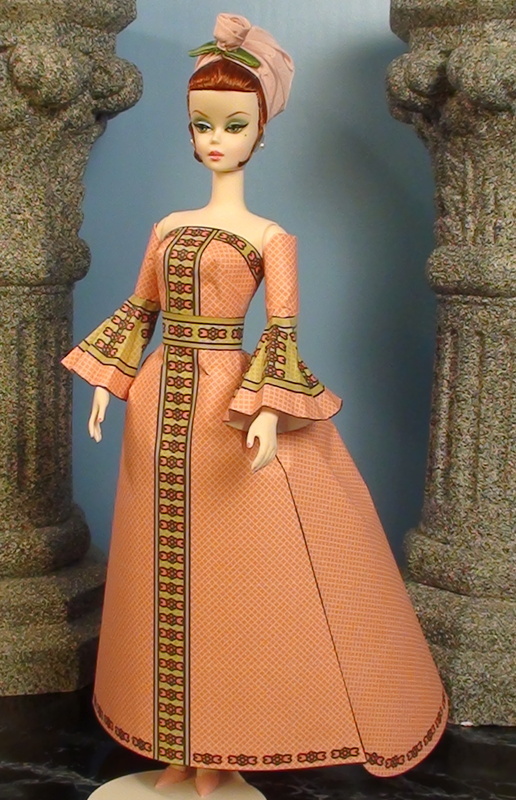 For dolls are thinner than Barbie you need to do more compressing around the waist to get the skirt to fit. For Monster High dolls I gather the extra in the back where it forms a Victorian bustle look. 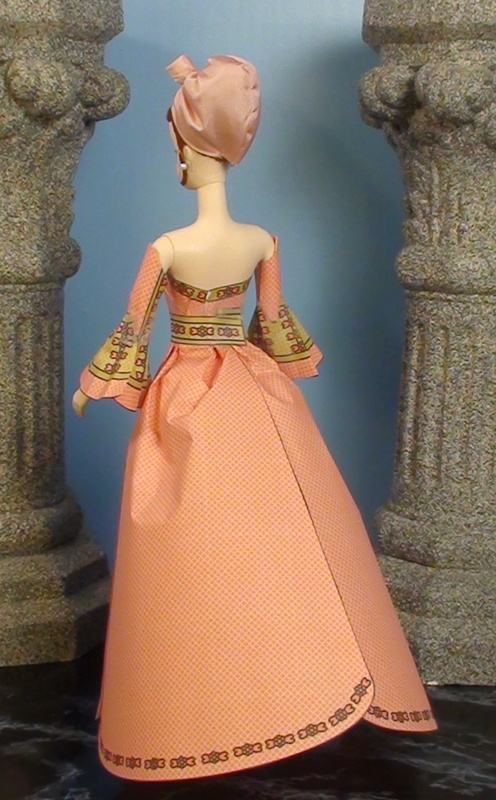 I usually gather the skirt with my fingers on the back panel before putting it on the doll since that is easier. Add a belt for the final touch. This skirt can either be made at the natural waist or up higher for an empire waist, think Jane Austen era look. It’s the same process to make the skirt, just instead of placing it around the waist push it up to the empire waist line. You may wish to the tape the skirt to the top in the back to hold it in place. For a fuller skirt, use two back pieces instead of one. Gathering is much trickier with this version so you probably want to tape the front of the skirt to hold it in place and use more tape to hold the back in place but with with time and patience it can look very nice.